Over the last few weeks, self-avowed Democrat socialist Alexandria Ocasio-Cortez has made a name for herself by deriding capitalism, a system that she seems to believe undermines the American Dream, skewing wealth distribution by favoring large corporations. Here at the Center for Freedom & Prosperity, although we vehemently disagree with Ocasio-Cortez’s assessment, we also understand how easy it is to confuse free enterprise with its evil cousin: crony capitalism. Capitalism features consumer choice and level playing fields. Crony capitalism uses the levers of government to grant one firm an unfair advantage over others. To boost public confidence in the system and ensure long-term economic stability, it’s critical that market-oriented members of Congress make the distinction and call out Hyde from Jekyll when they see him. Today, an excellent place to start is the Music Modernization Act (MMA). According to supporters the MMA is a beautiful piece of legislation that protects songwriters’ private property. This analysis is correct in some respects. Until now, composers in the digital age have often been left with the short end of the stick, not receiving adequate payment for their work within reasonable timeframes. Through creation of a comprehensive database of copyright holders and other reforms, the MMA will simplify current law while eliminating loopholes, protecting intellectual property and creating a more level playing field for the music industry at large. While the concept and direction of the legislation are laudable, Texas Senator Ted Cruz has pointed out one pressing concern: why should a government-created monopoly be born out of this? When one examines the fine print of the legislation, it becomes clear that Cruz is exactly right. In layman’s terms, this means that the MMA seems to give the bigwigs in the music industry free rein to pick the decision-makers that run the show. As such, the rules of the MMA favor large corporations and would, as currently written, likely muscle startups entirely out of the marketplace, giving them no chance of succeeding in the political realm. In what world does this make sense? It’s no surprise that these billion-dollar companies have provided endorsements of the legislation. Who can blame them? They are ostensibly slated to receive the financial deal of a lifetime, all thanks to what appears to be their friends in high places. But what works for corporate America doesn't always make sense for American consumers. That’s why a coalition of free-market organizations has been so vocal in expressing concern about the implications this egregious case of corporate welfare could have on pricing, innovation, and efficiency moving forward. Writing to Sen. Chuck Grassley, Chairman of the Senate Judiciary Committee, we, along with Campaign for Liberty, Citizens Outreach, the Institute for Liberty, and other groups made this point crystal clear, urging him to “forgo the creation of a government licensing collective in favor of a more market-oriented approach.” There’s no reason for the little guy to get shafted by government mandates – not in the freest nation on earth. 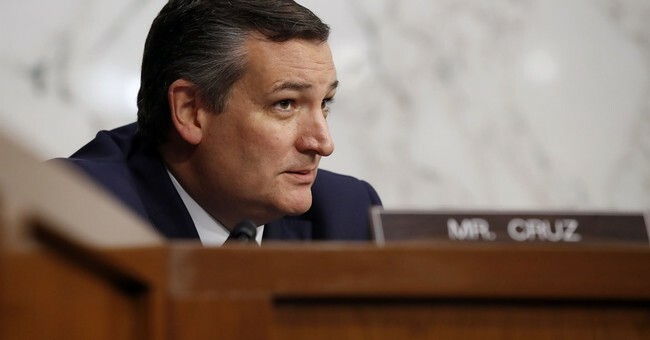 Put another way, Sen. Cruz aims to make sure the law works for everyone – not just wealthy, well-connected firms. While other improvements to the MMA are possible, his amendment closes a gaping hole. The fate of the MMA lies in the hands of the Republican-controlled Senate. Will these conservatives follow Sen. Cruz’s lead and push to rid the bill of these market-stifling provisions, or will they allow capitalism to get confused with its evil cousin yet again? Time will tell, but for the sake of the little guys that deserve a seat at the table, here’s hoping they do the right thing.